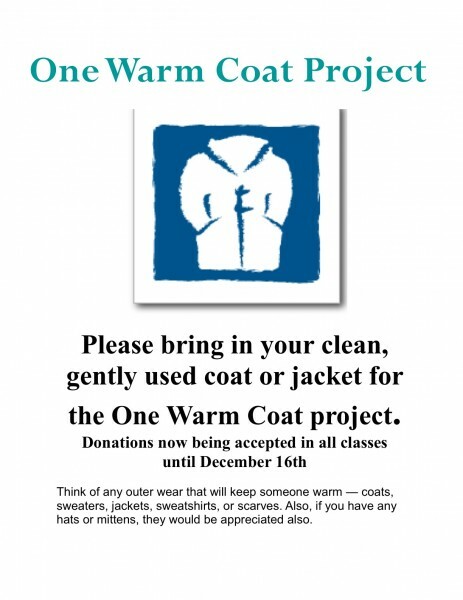 Join MNS in helping others by donating a new or clean & gently-used, coat, jacket, scarf, sweater, hat, or mittens to the One Warm Coat Project between now and December 16. This San Francisco-based organization has blossomed to help people in need all over North America. Bring your donations to MNS, and they will be distributed by One Warm Coat to those in need, free of charge.